It is firmly believed that wearing of pearl ensure happy conjugal life and protection from widow-hood. Anybody wearing an unblemished Pearl earns riches and is blessed by goddess of wealth Lakshmi. He or she lives long and all his sins are said be washed away. He gets vitality, becomes intelligent and achieves a high position in life. Pearl with a yellow luster brings wealth. A reddish pearl makes one intelligent. White Pearl bestows fame and the Pearl with blue hue is the giver of good fortune. The wearing of a defective pearl brings troubles. The Pearl, in which there is spot without luster like the hole, that pearl, is likely to cause leprosy to the wearer. If in any pearl there is a spot or sign looking like the eye of a fish, the wearer suffers loss of children. The Pearl, devoid of luster is said to shorten life. The Pearl that is flat brings a bad name to the wearer. The Pearl that is long instead of being round makes the wearer foolish and an idiot. If a side of the Pearl is broken, the wearer of such stones suffers the loss of his livelihood. 2. Lines on the body of the Pearl. Pearl is the gemstone ruled by Moon. It is a suitable and gainful gemstone for those in whose nativities Moon is lord of an auspicious house or when as lord of an auspicious house is afflicted or not well placed in the birth charts. Suitability of Pearl Gemstone According to All Ascendants (Lagnas). Moon is the lord of the fourth house for Aries (Mesha) Ascendant natives. The lord of the Ascendant Mars is a friend of Moon. Consequently by wearing a Pearl an Aries Ascendant native will get freedom from mental disturbances, happiness from mother, success in educational activities and he will gain landed and house property. The results will be more powerful in the major period and sub-periods of Moon. It will give more beneficial results if worn with Red Coral the gemstone of Mars the lord of the Ascendant. For the Taurus (Vrisha) Ascendant Moon is lord of the third house. The natives of this ascendant should not normally wear Pearl. However, if the Moon is in his own sign in the 3rd house, the pearl will do well in the major period of the Moon. For the Gemini (Mithuna) Ascendant Moon is lord of the second house, the house of wealth. Second house is the house of death also (Maraka house). Therefore, Pearl may not prove very suitable but when the Moon is ill placed and afflicted and the native is going through an adverse time in financial matters, wearing of Pearl is expected to avert financial difficulties. If in a nativity Moon as lord of the second is exalted in the 12th, and be in his own sign or be in the 11th, 10th or 9th house, the wearing of a Pearl will prove beneficial, in the major period of Moon. On the whole, however, Pearl is not a very agreeable stone for this Ascendant as Mercury the lord of the Ascendant is not friendly with Moon. For the Cancer (Karka) Ascendant Moon is lord of the Ascendant. For the natives of this Ascendant, Pearl will prove very beneficial and they should wear it throughout their lives. The Pearl will ensure good health and long life. It will make life smooth, free from mental disturbances and will improve finances. For the Leo (Simha), Ascendant Moon is the lord of the 12th house. Therefore, the natives of this Ascendant should avoid wearing a Pearl. The Pearl may, however, be worn in the major period of Moon if Moon is in the 12th in his own sign. For the Virgo (Kanya) Ascendant the Moon is the lord of the 11th, the house of gains and fulfillment of desires. If Pearl is worn in the major period of Moon, the native gets financial gain, acquires wealth, achieves name and fame and is blessed with children. If the Moon is in Taurus in the 9th a Pearl can be worn always for success of ventures, peace of mind and acquisition of wealth and conveyances. 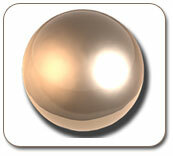 If the Moon is afflicted in any way in the horoscope wearing of Pearl will neutralize the ill effects. For the Libra (Tula) Ascendant Moon is lord of 10th house. Moon is not a friend of Venus, the lord of the Ascendant, but still wearing of a Pearl for the natives ascendant brings them name, fame, honors, advancement in career and wealth particularly if the Moon is in his own sign in the 10th when it gives rise to a powerful Raja yoga. The results will be more powerful if the Pearl is worn in the major period of Moon. If Moon is not auspiciously disposed or is afflicted, causing obstruction in the advancement of profession or career, wearing of pearl will remove such evil effects. For the Scorpio (Vrischika) Ascendant Moon is the lord of the ninth house, the house of Bhagya (Fortune). Therefore, wearing of a Pearl to the natives of this ascendant would prove very beneficial. It will bring good fortune and also will prove beneficial for the longevity of father. Wearing of a Pearl always will prove very beneficial if Moon is not well disposed or afflicted in any way. The wearing of Pearl with a Red Coral for persons with Scorpio Ascendant will do immense good to them. For the Sagittarius (Dhanu) Ascendant Moon is the lord of the 8th. Persons with this ascendant should avoid wearing a Pearl unless Moon is in his own sigh in 8th. It will not give any adverse effects if it is worn along with yellow Sapphire, the gemstone of Jupiter, the lord of this Ascendant, who is a friend of Moon. For the Capricorn (Makara) and Aquarius (Kumbha) Ascendants, Moon is lord of the seventh and sixth house (bhava) respectively. As seventh house lord, Moon becomes a maraka planet (a death inflicting planet). As sixth house lord, it becomes a badhaka (obstructive) planet. Moon is also an enemy of Saturn, the lord of the Ascendant. Persons with this Ascendant should avoid wearing a Pearl. Pearl can be worn if absolutely necessary, in the major period of Moon, if Moon is in Cancer, her own sign. For the Pisces (Meena) Ascendant Moon is lord of the fifth house, which is trikona, which is considered a auspicious house. By wearing a Pearl the native will be blessed with children, will get name and fame. If Moon is in his own sign in the 5th Pearl can be worn always with beneficial results. The good effects will be more powerful in the major period and sub periods of Moon.